The Carlisle 445003 solid spoon is perfect for buffet lines, salad bars, and more. It has a 0.25-ounce capacity, which is great for cheese, peas, julienned carrots, and more. 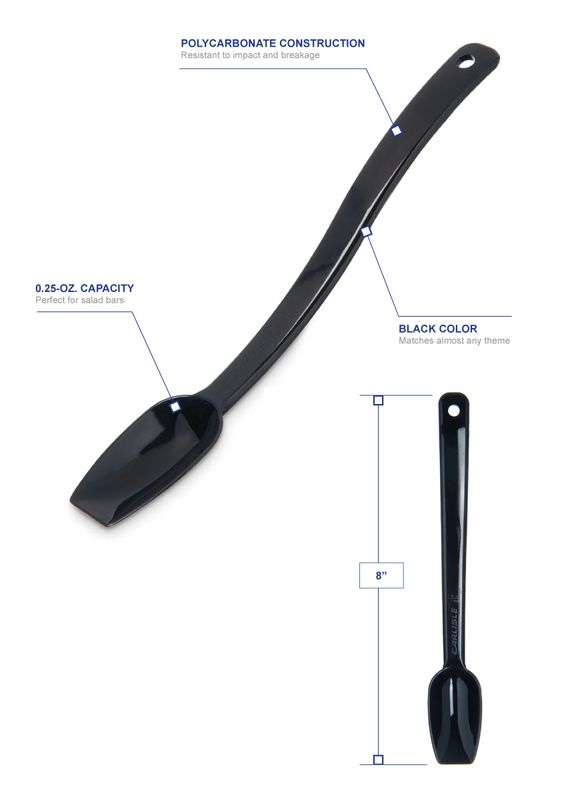 Since the Carlisle 445003 solid spoon comes in black, it matches most existing dinnerware and décors. 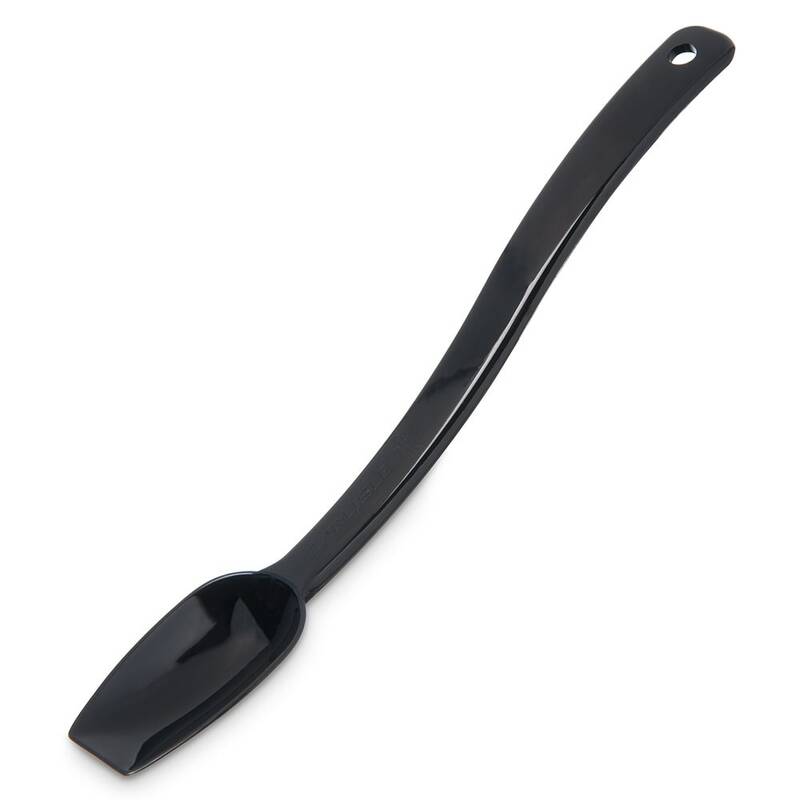 Constructed of polycarbonate, the spoon is heavy duty and resists dents and scratches.